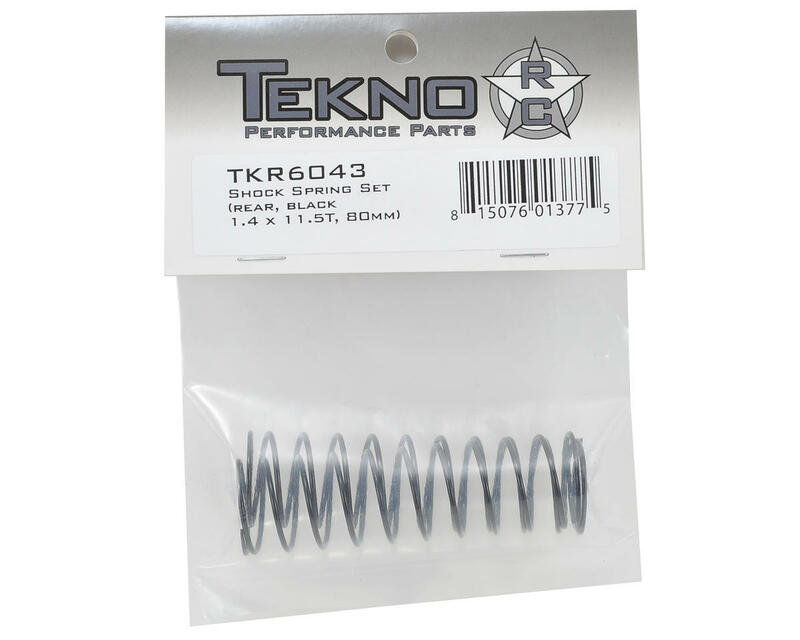 This is an optional Tekno RC 80mm Rear Shock Spring Set, and is intended for use with the Tekno RC SCT410 4wd Short Course Truck. These Spring Sets have gone through rigorous testing on and off the track, and will help you dial in your truck for your particular track conditions. Coated in sleek black with a small color indicator on the end, they are corrosion resistant without compromising rate tolerances. 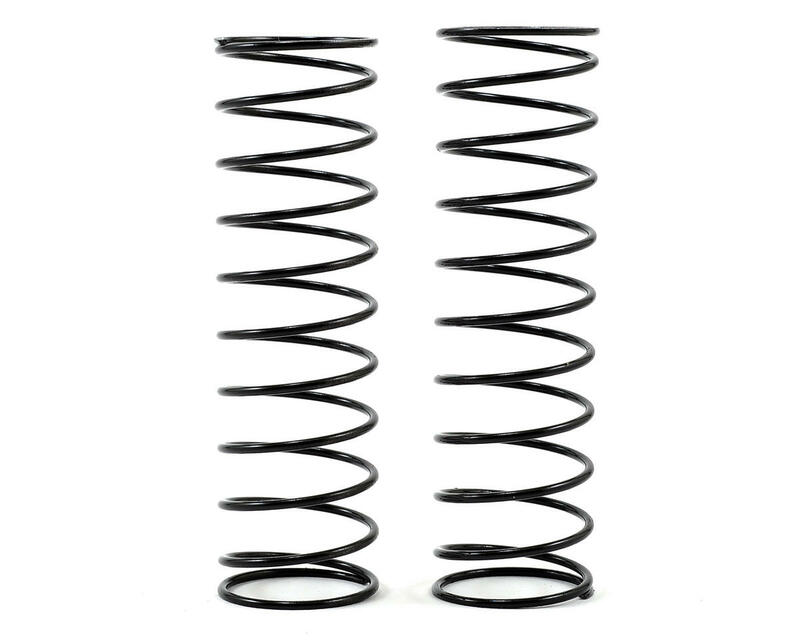 These black 1.4x11.5T springs are one step softer and 5mm shorter than the stock 1.4x11.0T pink rear springs.